If you’re missing one or more permanent teeth, dental implant treatment is a modern treatment worth considering. There are also other options for replacing missing teeth that can be customized to fit your personal situation. 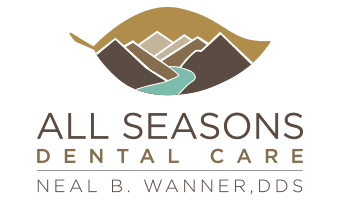 At All Seasons Dental Care, Dr. Neal Wanner keeps men and women in the greater Seattle-Tacoma area smiling by replacing their gaps with life-like fabricated teeth. 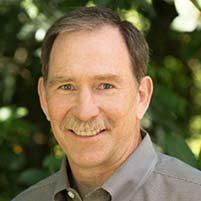 Call his office in Kent, Washington, or book an appointment online to restore how your mouth looks, functions, and feels. Although they can be removable and used in conjunction with dentures, most dental implants are individual, natural-looking replacement teeth permanently anchored to your jaw. Not needing to alter your surrounding teeth is perhaps the biggest reason dental implants are a modern, popular alternative to bridges. Dr. Wanner fabricates implants out of metal and porcelain, matching its coloring above your gum line to your surrounding teeth. The porcelain top also mimics your natural teeths’ translucency and resists stains well. Below your gums, the titanium root offers even greater durability and keeps the implant firmly in place. After he confirms dental implants are right for you, Dr. Wanner will work with an implant placement specialist who will perform the actual implant surgery. The specialist will insert a titanium post into your gum and secure it in the empty bone socket vacated by your missing tooth. Your jawbone will take approximately 12 weeks to grow around the post and heal. After this healing, Dr. Wanner will make a crown that attaches to the post and functions seamlessly with your natural teeth and bite. Most men and women feel dental implant procedures cause less pain than tooth extractions. Generally, they comment that it was a lot easier than they had anticipated. Also, the crown placement part of the implant procedure requires no surgery and usually no anesthetic at all. Dental implants successfully replace missing teeth up to 98% of the time. With proper oral care, and depending on their jaw location, your dental implants can last forever. Avoiding injury and unhealthy habits also help maintain their longevity. 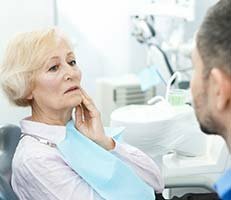 Are there options besides dental implants? Don’t wait to replace a few missing teeth. Call All Seasons Dental Care or book an appointment online for a one-on-one consultation.